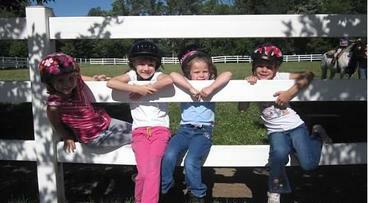 Poplar Ridge is a family-run horseback riding stable that offers children's week-long day camps during the summer. The goal of our horse camps is to give young horse lovers confidence in the basics of horsemanship in a safe, fun environment. 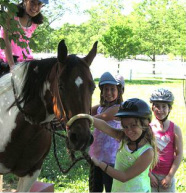 Our weeks are jam-packed with a wide range of activities that help our campers learn about all aspects of the horse world! Our camps are designed to be both educational and lots of fun! 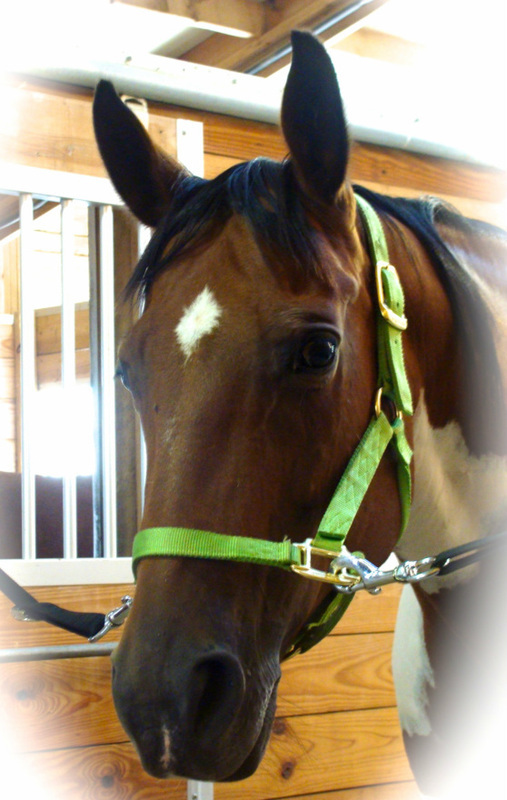 We have 8 horses in our barn including several that we've used for the past 10 years as part of camp. Our campers form great bonds with Rocky, Missy, Princess, Mater, Sarah and Tetley and tend to come back year-after-year to visit them! In addition, we have Sadie who gave birth to Derby, a beautiful little filly, on May 3rd of 2014! Mini One-Day Camps are offered throughout the year. These generally fall on Saturdays or Sundays, but we also offer some camps on school breaks. Mini camps are from 10am-2pm and cost $75. Ages 5-12. Thank You All for Your Overwhelming Support!! Registration for the 2018 Camps will Open at the Beginning of the New Year-- See You Then! !